Innovate UK, as a part of UK Research & Innovation, drives productivity and growth by supporting businesses to realise the potential of new technologies, develop ideas and make them a commercial success. The Energy Catalyst is a competition run by Innovate UK and co-funded with EPSRC (Engineering & Physical Sciences Research Council), DFID (Department for International Development) and BEIS (Department for Business Energy and Industrial Strategy). It addresses the global business opportunities created by the need for clean, affordable and secure energy. 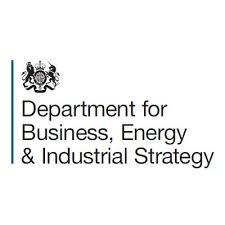 It helps UK businesses to grow and accelerate commercialisation of the UK’s world-class energy research & innovation. In the first five rounds of the competition, £96m in grants has been awarded to more than 700 organisations participating in more than 250 projects. Thirty five projects from Rounds 4 & 5 of Energy Catalyst are being showcased at Rushlight Summer Showcase 2018. Venner Shipley LLP is a full-service intellectual property firm boasting European patent and trade mark attorneys, barristers and solicitors. Headquartered in London with offices in Cambridge, Guildford, Manchester and Munich; the firm is modern and forward thinking with a long history of providing advice on all aspects of intellectual property law. Venner Shipley represents a broad range of clients, from individual inventors to blue-chip corporations, for whom the firm drafts and prosecutes patent applications, as well as providing legal commercial and strategic advice on exploiting and commercialising their inventions. Venner Shipley works across multi-disciplinary teams incorporating experts who draft patents covering technologies that require specialists that include chemistry, biochemistry, materials, electronics and engineering. The firm also has trade mark specialists and lawyers enabling us to cover all aspects of your intellectual property requirements. Venner Shipley’s approach with their clients is to build long term relationships. They work in a flexible and responsive manner to ensure that clients get what they need in the most efficient and effective way possible; adapting to the needs of individual clients and often acting as an extension to client’s in-house counsel. Venner Shipley have a distinctive personality that fosters creativity, encourages team work and which makes their attorneys, lawyers and their services stand out from the crowd. Venner Shipley are an award winning firm having won the IP Innovation Award Cleantech IP 2015 – AI Magazine, IP Law Firm of the Year Mechanical Engineering – ACQ Global Awards 2015 and 2016 and IP Law Firm of the Year for Cleantech – ACQ Global Awards 2015 and 2016. Prova is the UK’s leading environment, energy and clean technology communications consultancy. We’re known worldwide for creating extremely powerful marketing campaigns that deliver commercial advantage and drive business growth. Whether building brand reputation, supporting new market entry or debating policy on a pan-European scale, no other PR firm has the same experience, knowledge or passion.